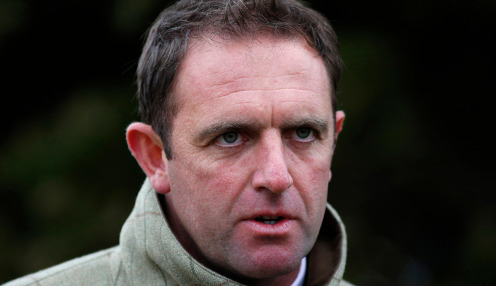 Charlie Appleby has scoffed at any suggestions the Epsom Derby form might be questionable as he gets ready to send Classic winner Masar into battle once more. The Godolphin-owned colt was a strong winner of the Epsom event last month but the form hasn't been boosted in the efforts of those that have run since. Five of the beaten horses lined up in last weekend's Irish Derby at the Curragh, without success, while Kew Gardens finished only ninth in the Queen's Vase at Royal Ascot. In regards to the Curragh form, Appleby is willing to dismiss it quickly. "I'm not worried about what people say about the Derby form because they're basing it on what happened in the Irish Derby, which turned out a very different sort of race," he said. "I felt it was run in a completely different style to the Epsom Derby, as they went no pace and it was quick ground." Masar is 13/8 to win the Eclipse at Sandown on Saturday, with Epsom third Roaring Lion priced at 7/4 and Saxon Warrior 9/4 for Aidan O'Brien. Appleby is happy with Masar going to the Esher track, where he was a winner of the Solario Stakes at a juvenile. "At the end of the day Masar won the Derby well. It's not as if he was a lucky winner," Appleby added. "He travelled well throughout the race and, for me, if you wanted to stop the video anywhere in the last half-mile of the race you would pick him out as the winner. He was a clear-cut winner and he's come out of the race very well. "He was good last year in the Solario Stakes, which has worked out well with [runner-up] Romanised winning the Irish Guineas, and I was always confident he'd be better at three and stepping up in trip. Thankfully that's been proved right."